"You have that the life expectancy in Roxbury is under 60 years,” said State Rep. Liz Miranda. “And you have that the life expectancy in the Back Bay is close to 90." 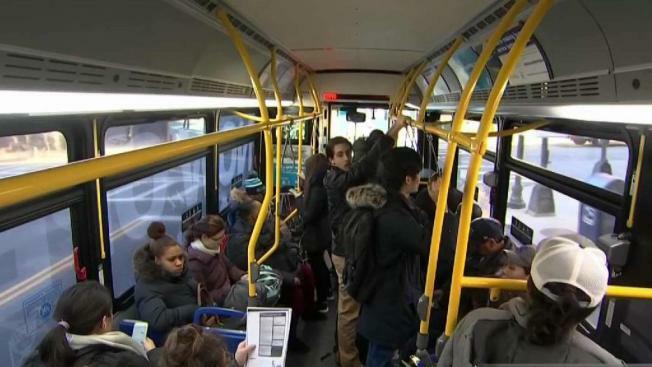 The ride along the MBTA’s Route 1 bus is only five miles. But the health difference for those living in the neighborhoods along that stretch is huge. Data shows that where you live can have a huge impact on wellness. People who reported mental health concerns almost double on the Roxbury side compared to the other side of Mass. Ave. Closing health gaps must include affordable, comprehensive health care, and a focus on education, beginning at the elementary level. Starting in Dudley Square, Bus Route 1 cuts north through the South End and Back Bay, before crossing the Charles into Cambridge. It’s a ride Massachusetts State Representative Liz Miranda (D-Dorchester) knows well. "I’ve taken it my whole life,” she said. Lives that can often be cut short depending on where you live along the bus route. "You have that the life expectancy in Roxbury is under 60 years,” said Miranda. “And you have that the life expectancy in the Back Bay is close to 90." Thirty years in just a few miles. The NBC10 Boson Investigators and health reporter Kristy Lee examined new survey data from the Centers for Disease Control and Prevention “500 Cities” project, which burrows down to Census tracts in 500 American cities to show how specific neighborhoods fare across a range of health metrics, from a community’s mental health, to obesity and exercise, to unhealthy behaviors such as binge drinking, smoking, and lack of sleep. Step on the Route 1 bus on Beacon Street, and each stop will bring you closer to with Miranda’s hometown of Roxbury. Along the way, the gaps in health outcomes worsen. "Your ZIP code is actually killing you,” she said. In Roxbury, more people are struggling with chronic illness, unhealthy behaviors and lack preventive healthcare. For example, in the state that led the charge to extend health insurance coverage to all, 19 percent of the people living in a part of Roxbury around Norfolk Avenue and Dudley Street do not have health coverage, according to CDC data. In the Back Bay just east of Massachusetts Avenue, only 3.6 percent are uninsured—the lowest along the bus route. There are similar disparities with high blood pressure. Around 13 percent of people living in the Back Bay in the Census tract west of Massachusetts Avenue around Charlesgate reported high blood pressure. But more than a third of the population reported high blood pressure in the area surrounding Dudley Square. The disparity shows up even at a single stop. On Massachusetts Avenue at Columbus, Roxbury is on one side and the South End on the other. People who reported mental health concerns almost double on the Roxbury side compared to the other side of the street. Lost teeth due to decay or gum disease, almost three times higher. Dr. Subu Subramanian, professor of population and geography at Harvard University’s T.H. Chan School of Public Health said health and well-being is directly tied to income. "It comes with money, comes with security, because now I can actually go and focus on it,” he said. The healthiest part of the route at the Beacon Street stop have an average annual household income of $127,000. But the neighborhood with the worst health outcomes at Dudley Square make eight times less at only $16,000 a year. “We’ve never seen this level of income inequality outside of the Gilded Age,” Subramanian said. He said closing health gaps must include affordable, comprehensive health care, and a focus on education, beginning at the elementary level. "The process of this kind of segregating life opportunities pretty much starts there," he said. It plays out at each stop along Route 1. Miranda said her mission is to get positive attention to the resilient and proud people she represents to make the case for better policy. "What it needs is for people to pay attention to this population in a way where we get the resources that we deserve, and we get policies and laws that actually help us grow as a community instead of continuously disenfranchising us as a community," she said.